STRONG, EXPERIENCED ATTORNEY who has been FIGHTING for the SERIOUSLY INJURED for over 40 YEARS. Since 1977, Mark Chalfin has been specializing in obtaining monetary damages for clients who have been injured in all types of accidents. 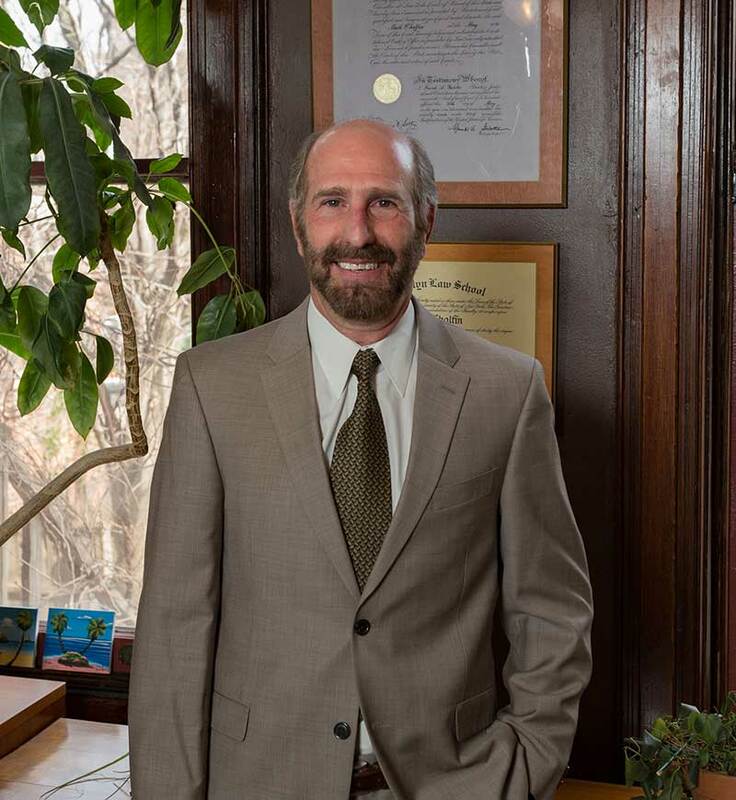 Recognized as one of the top personal injuries lawyers in Brooklyn, Mr. Chalfin represents people throughout New York City, including Brooklyn, Queens, Manhattan, The Bronx, and Staten Island. Fighting for victims of car, pedestrian, bicycle, motorcycle, taxi, car service and Uber accidents, premises and construction accidents, slip and fall accidents, medical malpractice, and product liability, Mark has won settlements and verdicts for clients in over 1,000 cases, obtaining over $20,000,000 in damages in the 40 years of serving the public as an injury lawyer. If you have been injured in a car accident, it is extremely important that you speak to an experienced car accident attorney right away. You need to understand all of the benefits you are entitled to, what documents must be filed, how you can get the best medical treatment to heal your injuries and what to say (or not say) when you are contacted by an insurance company representative. Property owners, business owners, and municipalities have a duty to keep their premises and walkways safe for tenants and others lawfully on their property. If you have suffered a slip and fall injury, you may be entitled to compensation for your medical bills, lost wages and pain and suffering. Slip and fall injuries can occur in stores, staircases, hallways, sidewalks, streets, and parks. Since most New Yorkers do not have a car, they must walk everywhere including to and from subways, busses, stores, schools and more. Unfortunately, there are a lot of careless drivers out there, resulting in pedestrian accidents at an alarming rate. You must know what benefits you are entitled to, what documents must be filed and what to say (or not say) to an insurance company representative. Bicycles are everywhere in New York City. Unfortunately, bikes must share the roadway with motor vehicles which often do not respect the presence of the bicycles, resulting in more bicycle accidents that ever before. It is extremely important to contact an experienced bicycle accident lawyer right away so that you know what benefits you are entitled to, what documents must be filed, and how you can obtain the best medical treatment possible. Motorcycles offer little protection from the dangers of the roadway caused by the negligent operation of other motor vehicles. This negligence often results in serious personal injuries to the motorcyclist. The Laws of the State of New York are very specific in what benefits a motorcycle driver is entitled to, so it is extremely important that you contact an experienced motorcycle accident attorney as soon as possible to ensure you get a fair settlement. Many New Yorkers do not have a car, so car service, taxis, UBER & LYFT have become more popular. As a driver of one of these vehicles who is on the road for 40-60 hours per week your chances of being involved in an accident is greater than for anyone else. It is very important to hire an attorney who knows all of the TLC rules and regulations, such as eligibility for Worker's Compensation, NYS Disability Benefits, No Fault, etc.. You must know what benefits you are entitled to, what documents must be filed and what to say (or not say) when you are contacted by an insurance company representative. For over forty years, Mark Chalfin has been fighting for the rights of auto accident victims. Below are just several of the Brooklyn communities he serves. Experience Matters. With over 40 years of experience as an accident attorney, Mark Chalfin has the know-how, experience and track record to get you the best personal injury settlement possible. Personal Service. As your accident lawyer, Mark Chalfin personally handles your case. He will answer all of your calls and questions both accurately and promptly. I'll Fight For You! Winning fights with insurance companies is one of key components of a successful settlement. Mark has a long history of fighting and winning these battles producing just compensations for his clients' pain and suffering. With over a 1,000 cases settled, Mark has earned his reputation as one of the most successful injury lawyers in NYC and Brooklyn. If you have suffered an injury from an accident, it is very important to receive expert advice from an experienced personal injury law firm. Not only do you need to get the best medical treatment to help heal your injuries, but you also need to receive just compensation for your pain and suffering. Call Mark at 212-349-6290 or email him for a FREE and CONFIDENTIAL consultation regardless of circumstance. Author Mark Chalfin has been winning settlements for injury victims for over over 40 years. A 39 year old woman who lived in the same apartment in Brooklyn for 18 years, noticed a leak in the ceiling of her bathroom and told the super of the building about the issue. He never fixed it and suddenly one day the ceiling fell on her head causing injuries to her head and shoulders. The insurance company offered $7,000 to settle. Mark took the case to trial where the jury awarded her $700,000. A 45 year old woman was driving her car on the Brooklyn Queens Expressway when her car was hit in the rear by a truck. That collision caused her to hit a truck in front of her, causing injuries to her head, face, back, and neck. The insurance company offered $75,000 to settle, but Mark took the case to court, and the jury awarded her $1,100,00. A 37 year old woman shopping at Macy's Department store tripped and fell due to a missing tile on the floor. She injured her back, neck, knees, and shoulders. Macy's offered $10,000 to settle, but, after Mark took the case to trial, the jury awarded her $400,000. For over 40 years, Mark has successfully fought insurance companies on behalf of injured people. He understands that it takes a strong, aggressive, and experienced personal injury attorney to get a fair and just settlement for his clients' pain and suffering. I personally work on every case to ensure you receive the best medical treatment and get the just compensation you deserve. Let's Talk. Consultations are Free.